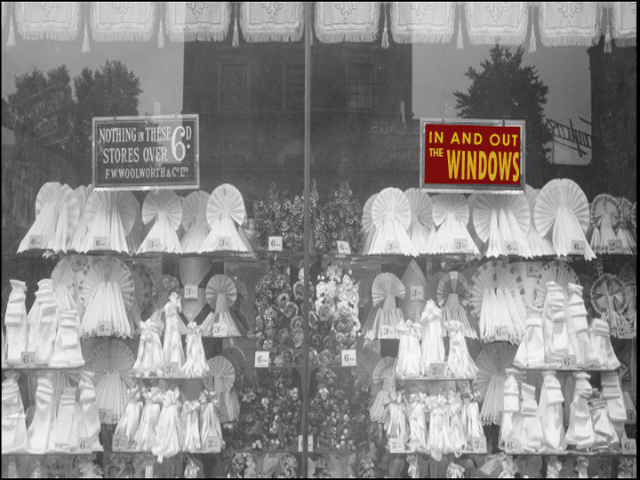 For many years Woolworths bosses considered their stores' windows to be the most important display space of all. Great effort went into designing layouts and dressing the windows as often as twice a week. Our short video shows a few of the toys and leisure displays from the heyday in the 1930s. It's embedded using HTML5 and video.js. Enjoy! Videography by 3d and 6d Pictures Ltd. for the Woolworths Museum. © Copyright 2002-2016, all rights reserved.